You can buy anything online, but that doesn’t mean every niche is a profitable one. Today we spoke to three different pioneering niche merchants from our community to talk about their seemingly impossible niches and how they’ve managed to turn them into full-time enterprises. Will: I was worried about putting myself out there. You know, being the nappy guy. I actually have that on my business card for Every Nappy. It says, “Will, nappy guru.” And that’s fine. I think you can just sort of own it. Laura: Dried meal worms. It’s a niche within a niche within a very popular niche online, the pet industry. Chris Bosdal is the owner of TastyWorms.com where he sells dried mealworms. Here’s Chris. Chris: I started to grow these meal worms myself in our garage basically. And we quickly ended up with more than we could possibly use. So at that point in time, I kind of realized, hey, you know, this could be a business. These things grow pretty darn fast and we were spending hundreds of dollars on them, and now we have hundreds of dollars’ worth of worms. So let’s try to sell them to some people. 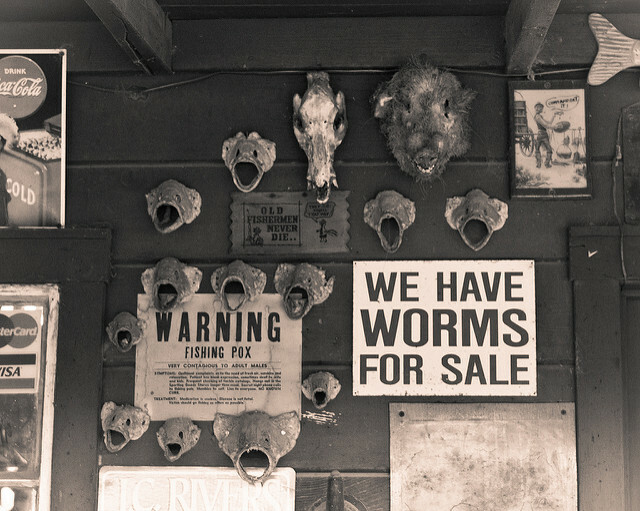 Laura: Tasty Worms originally went after animal rehabbers for potential clients, but they quickly found out that despite having the need, they didn’t have the money to purchase from them. Dried meal worms aren’t cheap. A 10-pound bag costs around $90, so around the same per pound price you’d pay for a really good steak. Chris: We didn’t really know who the customers would be, I guess is the problem. So yeah, we started up an eCommerce site with a product called Drupal and we started buying some Google AdWords and yeah, we quickly learned that that was also bad. We were basically, you know, paying money to not get any customers. Laura: eBay helped them find customers. They started to build their base simply by slipping in paper into orders that reminded them to visit their website instead of just their eBay store. Chris: I remember saying that when we got started, if we could make one sale per day, I would be happy, right? Because, you know, it’s an extra $5 or $10 in my pocket or what have you, right, that $150 a month, I’d be happy with that. Now if we got one sale a day, it would be a complete disaster. Laura: After two years, Chris was able to quit his full-time job to work on the business. Chris: The problem with insects, even if they’re dead, they have or had eggs. And insect eggs are notoriously hard to destroy. So there’s always that possibility that there’s something alive in there, you know. And sometimes you’ll even find that with like if you purchase flour, or wheat bran, or oatmeal at the store, sometimes it will develop moths or beetles. And that’s the same type of problems that we could run into. So yes and no. They’re not considered alive but they are, you know, you can’t just ship them to any old country you feel like. Laura: There are definitely restrictions when you’re dealing with selling insects online. For instance, their model can only ship to the US, but not overseas where customs are strict. One place they can ship to, an Amazon warehouse. Chris: I would say that they restrict dried insects less than they restrict chocolate. Laura: Their original commitment to welfare and rehabilitation for animals sets them apart from other sites in their niche. Chris: What makes us stand out is that first of all, we offer discounts to anybody who’s like an AZA accredited member. That’s the Association of Zoos and Aquariums. If you’re a licensed animal rehabber, we’re also gonna take care of you on the price. If you’re somebody who runs an organization, you know, be it big or small, like an animal rescue, like if you run a dog shelter for instance, and you needed dried meal worms for some reason, you probably wouldn’t, but we would work with them. Laura: I ask Chris if he think there’s such a thing as an impossible niche. Chris: I really believe that anything’s possible, but you also definitely have to be realistic. Like I said, I’ve started 20 businesses and this is the only one that’s actually been successful. So I do plan on starting…you know, I do plan on starting more businesses in the future, but it’s not that your ideas are always bad, right? But it’s not always the time for your ideas. Laura: And now of a niche that gets a bum rap, literally. Will Samuels runs Every Nappy, an incontinence company in the UK. Will isn’t serving the elderly and new parents alike, but a very specific nappy demographic, parents with disabled children. Will: I have two different conversations that sent me down the path that I ended up on. My sister was telling me about the trouble that she had shopping online for my elderly grandparents. She was their full-time career for many years. And I have a friend who has a business selling vests. These are special vests for kids with disabilities. And she suggested that I should target the children’s end of the incontinence market. So it was settled. Laura: Will had no eCommerce background and he didn’t do much research into the niche, but he did know that it was both an embarrassing and consumable product, two things he had read were important to consider when finding something to sell online. He enough competition online to suggest that it would be a viable niche, but the sites that existed were dated, and he felt he could do it better. Will: They were really dreary, drab, horrible affairs. They kind of looked like a doctor’s waiting room almost, all sort of clinical, and tired, and old. I thought perhaps I could make the buying experience a little bit better for people. Laura: Since will found himself in a competitive niche, he had to find a unique audience within that customer set to market to. Will: So for us, the brand messaging, the questions that people ask, etc., all of this feeds into the problem that we’re trying to solve. So it makes it a really good bet for this one very narrow customer niche. Laura: To do well in a narrow niche like Will’s, serving the customer as best he can has been crucial to his success. Will: We make sure that our website message is very, very clearly that we’re very discreet, we’re professional, we’re understanding, and orders are discreetly packed. We use site-wide SSO, which, you know, we were one of the first to do that as far as I can tell in our industry. So for people that are worried about privacy and security, then the website does a lot of the work for us. Laura: Privacy is important to his customers, but being able to find information about often embarrassing or difficult questions also helps him find new customers. And when things do go wrong, this privacy can be a saving grace. Like when one customer’s box of adult nappies got dropped off to his neighborhood pub. Will: We shipped him an order and the courier found that he wasn’t in, so they did what they usually do, which is leave it with a neighbor. And it turns out that his neighbor was the local pub. So he’d called us up later in the day, and said, “Oh hi, I didn’t get my order. Do you know where it is?” And we said, “No, we’ll check into it for you though.” He said, “Okay. So then later in the evening, he went to go watch the football at the local pub and turned up there, and the barman said, “Oh, this box has arrived for you. Is this yours?” This could have gone really, really badly. Fortunately, the guy was very understanding and we’d packaged it in such a way that you couldn’t tell what was in it. Laura: But most of Will’s customers aren’t young men. They’re parents of kids. Will: I think to get a new customer, especially in that narrow niche, kids age 3 to 10 years old, is with a blog post. So answering a question that some poor, desperate parent has got about, for example, how to access free health care services, or what sort of nappies fit if these ones don’t fit, this kind of thing, a blog post can run very, very highly in Google. And if it answers a specific question for a customer, then it’s going to do well. Laura: One blog post that Will wrote years ago gets thousands of hits per month and consistently recruits new customers for him. Other tactics he uses, sending free samples to potential customer confused about size, but also to existing customers of the next size up. So when it’s time to go up, they stick with them instead of going to a competitor. Will: I think with this niche, there’s a kind of a snowball effect. So once you’ve acquired a customer, then you can keep them for a very long time as long as you treat them properly and you service their needs correctly. In this way, I’ve only had to acquire a few customers a week and the sales kind of really, really ramp up over time. Laura: Will continued to grow his store, but a great job opportunity came up that made him decide he might close the shop. When he reached out to a company he was sourcing nappies from to see if they wanted to buy back some inventory, they ended up making him an offer instead. Will: You’re our best website. You’re selling more of our product than anybody else is. So why don’t you come and work for us? We’ll offer you the same position as this high growth internet startup company is offering, and we’ll also buy your company from you and let you keep a share of any future revenue. So that seemed like an even better deal. So that’s what I’ve done. Laura: Josh Manley has a niche that you think would be even harder to sell online, wrought iron fences. And I’m not talking about small pet gates. I’m talking about gates at the end of a driveway that can be seven feet tall. Josh: There’s obviously a large percentage of the market that is interested in a fence that’s never gonna go online, never gonna install it themselves, and most definitely want to see it in person. I don’t know what that number is, that might be 95% of the market. But it’s a large market, and we’re really serving that 5%. Laura: Even though the business is online, offering outstanding customer service is an integral part of being able to sell a giant fence to someone without ever having them look at it. Josh: We probably talked on the phone to 90% of our customers six, seven years ago. Now we’re getting a lot of customer that are much more comfortable just emailing. But whether it’s over the phone or whether it’s email, a majority of our orders start with just a customer asking a question, us trying to determine their needs, getting some type of layout from the customer, us working up a material list, sending them a quote, and then at that point them deciding to order. Laura: For Josh, it’s a lot of work to get a single sale online. Josh: We’ve had people that have been, you know, up in the 40 or 50 emails back and forth, 10 or 15 phone calls over a two-year time period to actually get an order. Laura: Although this isn’t an easy market, that’s an advantage too since Josh’s competitors are limited. Josh: Stuff goes wrong and I would venture to say that that’s one of the things that makes us successful is we’re willing to deal with those things where a lot of other eCommerce business owners that I’ve met, they just, this is not the type of business that I could run from a beach in Bali. Laura: There’s no obvious way to win back customers for a purchase like an iron fence. This isn’t taking a chance on, say, a new shampoo. So what Josh does really well is to try and answer every question a customer might have so they don’t have to leave the site. Josh: This is a very daunting product to buy over the internet. But not just that, it’s very expensive. Our average order is $3,000 and we’ve had orders all the way up to and over $100,000. But they’re also transferring $3,000, or $5,000, or $10,000 to somebody that they’ve never met and they can’t drive down the road and yell at them if they don’t get they wanted when they bought it or what they expected. Laura: Josh’s site has 500 customer photos, hundreds of testimonials, a 30-page installation manual, and over 100 frequently asked questions. With all these answers up front, the add to cart button starts to look a lot more digestible. Josh: I have in the videos and all that other information in the knowledge center, really drives home that we’re a company that they can trust, that we’re an authority with what they’re buying, and it allows them to discover that information on their own versus just having a “salesperson” telling them. Laura: Another amazing value add, they offer free shipping. Josh: And what we found is that it was one less thing for the sell to get hung up on. Laura: So how many people are actually buying iron fences from Josh online? A lot. Josh: So as far as our size and what we sell, always been over a million dollar company, I think any product can have its main acquisition channel be online or a website for sure. Laura: Maybe there’s no such thing as a weird niche, just niches that take a little more inventive tactics and customer service than others do. If you’re interested in rubbing elbows with folks in lots of other crazy and amazing niches, join us in the eCommerceFuel Forum, our private community of six and seven figure store owners. 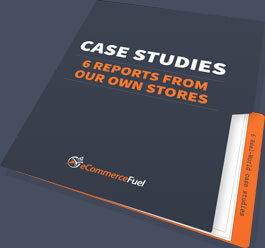 Learn more today at ecommercefuel.com. Thanks so much for tuning in this week, and we’ll see you next Friday. Great article with an in-depth view on ‘superniches’. Motivational! Ha, 7-foot tall fences are just the beginning of absurd things that people buy online that you never think they would. I bet if buying cars online and having them shipped to you was possible, there would still be people that would do it. Some people just don’t care!